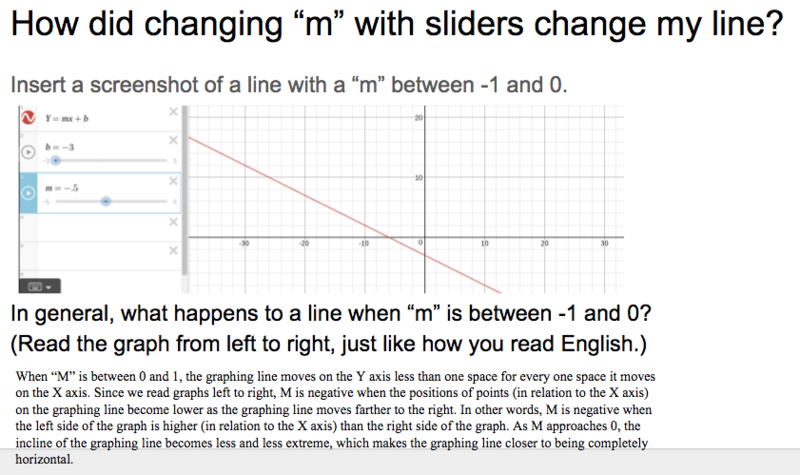 In Grade VIII Algebra classes, students use Google Slides to create digital Math Journals. Students illustrate, calculate, and explain their understanding of mathematical concepts. Each entry visually documents the progression of student learning. At the end of each unit, students will compile their Math Journal entries into one slideshow. 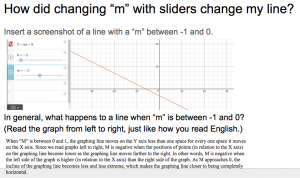 In completing these Math Journal assignments and compiling unit slideshows, students are building their own digital textbooks, each reflecting students’ personal mastery of Algebra.